Jethro Tull was an Agricultural Pioneer who aided in the in bringing about the Agricultural Revolution in Britain. His most celebrated achievement was the invention of the horse-drawn seed drill that helped farmers to sow seeds in neat rows. He also invented a horse-drawn hoe later on that also came as a breakthrough in agriculture. His achievements were adopted by landowners all over Britain and this helped to form the basis of modern day agriculture. Jethro’s impact can be favorably compared with the impact the inventions of George Washington Carver had in the field of US agriculture. Jethro Tull the inventor was born in Basildon, Berkshire, England in the year 1664 to Jethro Tull Senior and his wife Dorothy Buckridge. He was baptized there later in the year 1674 and grew up in Bradfield, Berkshire. At age 17, Jethro was admitted at St John’s College, Oxford, though there is no record of him taking any degree. He was later educated at Gray’s Inn, a honorable society and one of the four Professional Associations for Barristers and Judges found in London. He later married Madam Susannah Smith from Burton Dassett, Warwickshire. They later settled at Howbery and were blessed with a son and two daughters. Jethro would later become ill with pulmonary disorder and this forced him to travel across Europe in search of a cure for the condition. During his search, he found himself seeking more and more knowledge in the field of agriculture. Today, Tull is known to be one of the first champions of a scientific approach to agriculture. He transformed numerous agricultural practices through his inventions and numerous implements. The seed drill is one of the well known equipments that the great mind brought forth in agriculture. The Seed Drill was invented in the year 1701 and its purpose was to sow seeds efficiently. The idea had been earlier suggested by John Worlidge, one of the first agriculturalists in Britain to bring the importance of farming as an industry into discussion. Though the suggestion was made in the year 1699, there isn’t any actual evidence that the drill was build any time before 1701. Before Tull came up with his seed drill idea, farmers used to sow seeds by simply throwing them about. This proved very inefficient as most of the seeds would not germinate and crop production was poor. Jethro eliminated this problem by creating a machine that could plant seeds in three different rows in a single push. Holes for the seeds would be dug to considerable depths, and then the seeds would be dropped in at the right intervals with proper spacing. The holes would then be covered up and the machine, either cow or horse drawn, would be moved to the next position and the process would be repeated again. Before Jethro’s seed drill, a number of inferior drills had been invented, but his was given the distinction for being the first modern seed drill and ultimately changing the course of agriculture like never before. Seed germination improved tremendously and this eventually improved food production and eradicate famine. Apart from the seed drill, Jethro Tull is also well-known for the invention of the horse-drawn hoe that he intended to be used to clear between the rows. The modern day hoe, as well as many other agricultural equipments and tractor-based hoes and ploughs, have evolved from Tull’s design. The horse-drawn plough was also meant to clear off weeds. His interest especially in ploughing was derived from his interest in weed control. He also believed that the use of fertilizer was not a priority based on his belief that nutrients locked deep in the soil could be released when the soil is pulverized. Jethro aimed at avoiding the use of horse manure as fertilizer, as he was aware that this carried weed seeds, and pulverizing the soil to increase the soil nutrients was his other option. Jethro Tull’s influence of the structure and working process of the plough is still visible even in present day ploughs. The first design that Tull came up with allowed the weeds and grass to be pulled from the ground, therefore breaking the roots from the soil and leaving them on the surface to die. Jethro Tull’s inventions had the most influence in agriculture and the seed drill was by far his greatest invention. The successful application of these tools has elevated the name Jethro Tull and he is currently seen and the earliest agricultural scientists and generally a father to agriculture. Initially, just like many other scientists, Jethro’s creations were ridiculed and were not immediately adopted till much later, when his farm became quite profitable. He wrote the book “Horse hoeing husbandry” in 1731, and he hoped would give farmers the help they needed to maximize their harvests, but it would be almost a hundred years before any of his proposals would be adopted. He advocated for the use of horses as opposed to oxen for much of the farm work then and also showed great interest in matters concerning fertilization. His knowledge of grass being able to grow from horse manure led him to advocate stopping the use of such manure on the farms. His belief that breaking the soil around the plant would release oxygen and nutrients into the soil was only partly right. Plants would eventually need fertilization. However, he was very right about horse manure. Apart from agricultural inventions and science, Jethro Tull was also a visionary and would form a group of scientists in his field that was known as the “Norfolk System”. They incorporated mechanized farming invented by Tull and would later introduced new crops to England. They also came up with the art of stock-breeding that is the basis of today’s knowledge. Their advances improved all kinds of breeding stocks and led to improved viability in stock with more production and longer life. 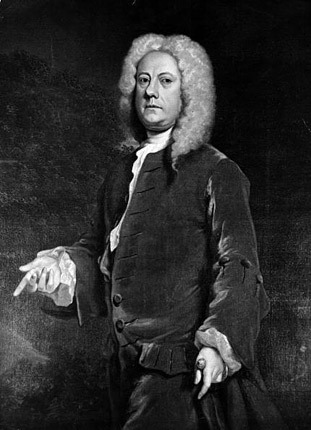 Jethro Tull died at Prosperous Farm at Hungerford and was buried at the St Bartholomew’s Church, in Berkshire. He is today recognized as a great inventor, long after his well lived life and eventual death.